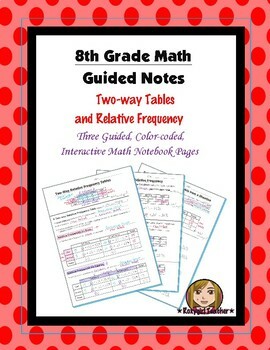 This is three 8th Grade Common Core guided, color-coded notebook pages for the Interactive Math Notebook on the concept of Two-way Tables and Relative Frequency. 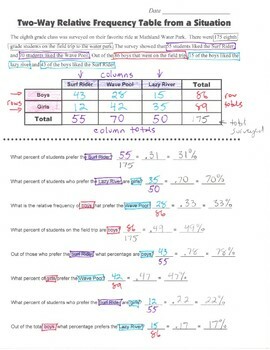 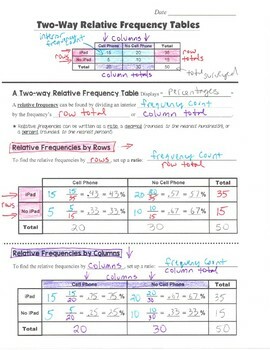 Included in the notes are important academic vocabulary words, finding the relative frequency by rows and by columns, interpreting and completing a two-way table from a situation and color-coded guided notes on finding the relative frequency in a two-way table. 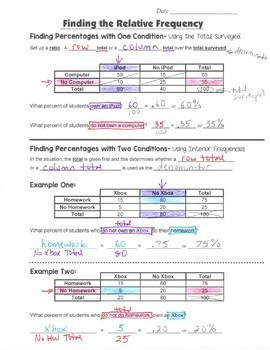 Also included is a guided practice problem, color-coding and completing a two-way table from a situation and finding the relative frequency.